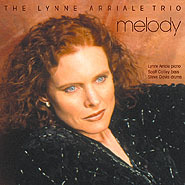 Lynne Arriale has released her 14th CD as a leader (May, 2018) with her debut on Challenge Records. "Give Us These Days" was recorded in the Netherlands and features renowned Dutch musicians, bassist, Jasper Somsen and drummer, Jasper van Hulten, with a cameo performance from special guest vocalist, Kate McGarry. “Give Us These Days,” is ambitious both in its conception and its unbridled sense of wonder. Evolved from the creative genius that foretold her reputation as an extraordinary piano poet and composer, the six original tunes and three arrangements on this CD chart a new course for the trio. It leads, ever so gently, to the chambers of the heart, there to reflect upon the precious and ephemeral nature of existence. What emerges is the theme of this record, brilliantly illuminated by the title track: Given the unpredictability and impermanence of life, savor each moment. "As with every move in her celebrated career, Lynne Arriale remains both readily identifiable in her different pursuits and impossible to pin down in specific character. Whether given to introspection or taken by extroversion, she remains a force of nature. "...there's an overarching feel of freedom and joy that surpasses all that came before. Majestic themes typically build intensity over the tracks while allowing Lynne's bandmates plenty of room to shine...This album sits atop a discography that continually evolves, from an artist who manages to combine the ethereal and ferocious. And one who never lets us forget the melody." 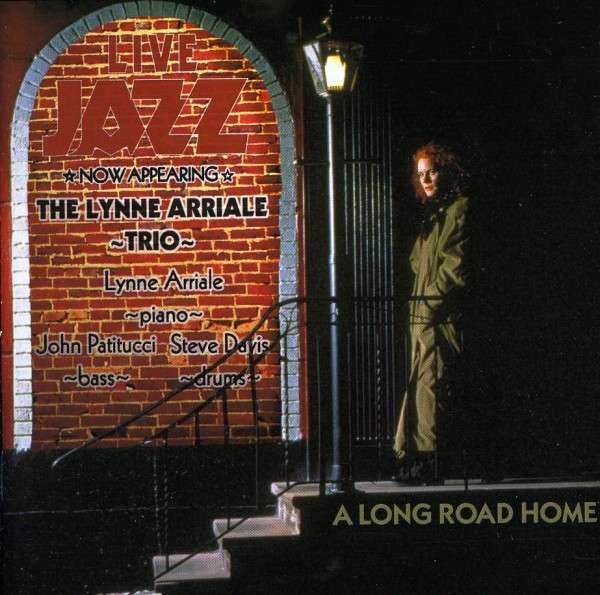 "When pianist Lynne Arriale plays the first notes on her new album... .....jazz that sounds so elegant and powerful, from such a sound and such energy, you just want more and you will not be disappointed over the entire length of the album. ......her absolutely determined, and truly impressive, musical strength has certainly contributed to her successful 25 year-long international career. Her concerts are an experience....of concentrated intensity. 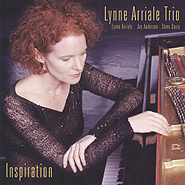 Lynne Arriale becomes a sister in the musical spirit of power players such as John Coltrane's pianist McCoy Tyner. "...the improvised melody flows in a rush through Arriale's fingers, as if the power of the combined forces of the trio were unable to contain the music." "A style that is both in tune with legends such as Jarrett and Tyner but also aligned with contemporaries like Charlap and Mehldau. People need to know and discover the simple beauty and complexity of Lynne Arriale. "Lynne Arriale is a powerful pianist with a strong melodic sense and a taste for well-built pop tunes. Of the originals, the highlight is 'Dance of the Rain,' a beautiful, flamenco-inflected tune featuring Avital’s lively oud; it makes you want to run outside into a summer shower, it’s so lovely. "Her playing is so open, and unpredictable. She is an extremely genuine player with no affectations... you can hear her intense appreciation and thanks for a beautiful tune in the way she touches the piano—with a blissful awe of what her hands are able to conjure... her phrases are full of life, humanity, and highly developed musicianship. "Her phenomenal trio has made a sneak attack and stolen my heart and mind, if not my soul. The accolades have been pouring in since the beginning, making it difficult for a new devotee to write yet another rave review without seeming over the top. Arriale strikes emotional chords that are deep and universal, without once resorting to cliché or artifice. "A marvelous yet under-recognized pianist from the Bill Evans-Keith Jarrett-Richie Bierach school of introspective lyricism, Arriale unites with bassist Scott Colley and longtime associate Steve Davis for this highly interactive trio session. If you have spoken with Lynne about special payments, please click here to pay the agreed upon amount.